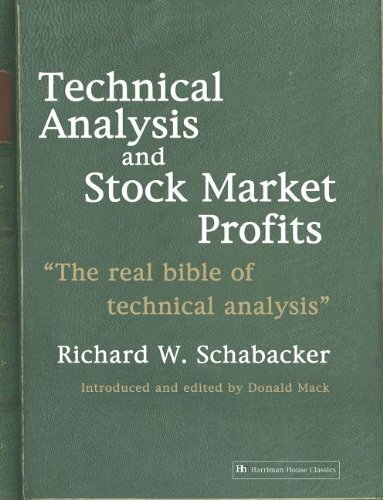 Richard W. Schabacker's great work, Technical Analysis and Stock Market Profits, is a worthy addition to any technical analyst's personal library or any market library. His "pioneering research" represents one of the finest works ever produced on technical analysis, and this book remains an example of the highest order of analytical quality and incisive trading wisdom. Schabacker presents technical analysis as a totally organized subject and comprehensively lays out the various important patterns, formations, trends, support and resistance areas, and associated supporting technical detail. He presents factors that can be confidently relied on, and gives equal attention to the blemishes and weaknesses that can upset the best of analytical forecasts: Factors which investors would do well to absorb and apply when undertaking the fascinating game of price, time and volume analysis. If you have any questions about this product by Brand: Harriman House, contact us by completing and submitting the form below. If you are looking for a specif part number, please include it with your message.